The Main Reason our New Year resolution or any time of the year resolution fail is you try to fight against a giant called the whole year. Yes, these 365 days are so powerful that your whim seems very poor against them. These 365 days are so powerful that it doesn’t take much time for these 365 days to make your resolution break down in 365 pieces. How can you imagine your will power to be so strong that it can sustain for a year challenge? Had it been so strong it might have succeeded in last year. I am sure that the vow you have taken is not new to you. You might have taken it a lot more time before also and the reason you didn’t succeed because you tried to fight against the monster called “YEAR”. So if you actually want to realize your goal try to make short term plans. Divide your goal into a short period of time. Like a week’s challenge than extend it for another week, by making your plans for short terms you increase your chance of successfully completing them. Nothing motivates like success itself. So instead of waiting for a whole year to finally celebrate your success, it’s better to celebrate smaller parties every month. The smaller time span you have between the day you make your first effort to the final Day of fruition, the more you increase your chance of accomplishing your goal. This is very important to understand if you want to succeed in achieving your goal. Divide goal into two categories first is Disclosable and second is Secretive. Disclosable are those goals which you can disclose to anyone. You can let anyone know that you are up to this particular goal and this year or during this particular time you are committed to yourself to achieve that. Whereas as the Name implies Secretive goal is the goal that should be a secret. Except you, there should be no one aware of it. Nobody should ever know about your goal until you reach it. It is vitally important to sort your goal into these categories according to the goals nature. For a chain smoker who tried to quit smoking many times but failed all the time and now really wants to get rid of smoking. His goal of quitting smoking should be a Disclosable one and he should make a clear announcement about his intention of quitting. He must declare his intention of “I will never smoke” to as many people as he can. The Crux of the matter is that his Commitment “I will never Smoke” should become a matter of pride for him. This will help him in two ways. First, this type of announcement will keep him motivated and second if at some moment he began to feel lack of will power and have this urge smoking again then this announcement of “I will never smoke” Empower him. And will put him back on the right track. On the other hand, some goals should remain a secret because the more you talk about them the more you tend to lose your grip on them, how many times you have not felt this that as soon as you talk about this aim, you stop seeing those constant positive results that you were getting earlier. You may call it an evil eye. I don’t have a particular explanation for it. but I do believe that some of your goals should be a secret to you at least till the time you achieve it or results becomes visible to all and you can’t hide it anymore. The goal like building muscle and losing fat to get a perfect body shape comes in this category. Once you find out in which of the category your goal exactly fits into act accordingly. One major reason most of your resolution fails is you underestimate the importance of evaluating the achievability of a goal. You become too ambitious while setting goals and thus get misguided by your planning fallacies. What normally takes years to accomplish. You assume it would take just 2 weeks for you to see the results. This is the reason why all your previous resolutions fall flat because of your inadequate planning. These repeated failures make you lose your self-confidence over the time. This can lead to learned helplessness a psychological behavior where we give up what we capable of doing after repeated failures. 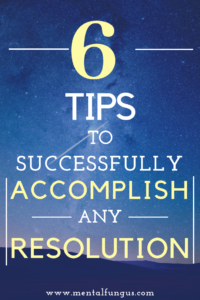 So in order to accomplish your resolutions, you must make sure that you have carefully apprehended your ability to cope up with the desired goal. An honest analysis of your ability will help you in pursuing your goal successfully otherwise you will end up failing always. When you are on your journey to achieve something you must keep yourself rewarding time to time at least when you have successfully completed a fraction of various stages. These small rewards keep you going plus makes you feel stick to your path of success. If you don’t reward yourself on consistent basis chances are you might start feeling less ambitious towards your goal after some time. So enjoy your journey by rewarding yourself on a consistent basis. 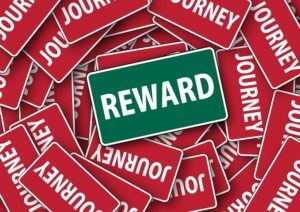 But be careful while rewarding your reward should not be that pushes you a step backward. For example, if you are on a quit smoking mission don’t reward yourself with a quick small puff of a cigarette. That is not a reward at all but a journey back to your smoking era. When you are fully focused on your goal then you shouldn’t do a single thing that can divert you from your goal. You should surround yourself with the people and even with things that will direct you towards your goal. Thus you will keep yourself supercharge. You should keep on reminding you about the rewards you will get after accomplishing your goal as well as the sufferings you have been through when you were far away from your goal and were just dreaming about a positive change in your life back then. While setting goals you should always choose goals that are positive in nature rather than “Getting rid of” type goal. 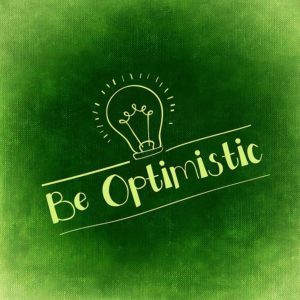 In getting rid of type goals you focus on keeping yourself away from a particular bad habit rather than inviting a positive change in your lifestyle that will automatically bring positive change. For example, for an overweight person it’s better for him to set small positive habits like early morning walk every day, drinking plenty of water, follow a simple workout plan etc. Instead of focusing on changes that tells you what not to do like giving up sugar completely, stop eating junk food, stop drinking alcohol etc.